Partner, W. Kent Carper, has devoted twenty three years of his life to the legal profession. However, practicing law is just one of the many things that Mr. Carper does with his time. In addition to his practice, Mr. Carper devotes a great deal of his time to serving his community. Mr. Carper has been a member of the Kanawha County Commission since July 1996. As a commissioner, he is responsible for setting the budget for the county, which includes appropriating funds for the Prosecuting Attorney's office, the Sheriff's Department, the County and Circuit Clerk's offices, and the Assessor's office. In addition to his work on the County Commission, Mr. Carper is a former paramedic, former Chief of Police for Charleston, West Virginia, as well as a former Kanawha County Assistant Prosecuting Attorney. Mr. Carper believes that public service is very important to the legal profession. "As part of his commitment to the public, a lawyer has an obligation to do community work," Mr. Carper said. Mr. Carper himself, however, does not see his role in public service as an obligation as much as a diversion. "I really enjoy public service," Mr. Carper said. "To me, it is a labor of love." In addition to his work in the public sector, Mr. Carper is also a ham radio operator, something that he is very proud of. He calls ham radio, or amateur radio, a precursor to the Internet; the "old fashioned" way of talking to people all over the world. In times of emergency, Mr. Carper serves as a volunteer ham operator. 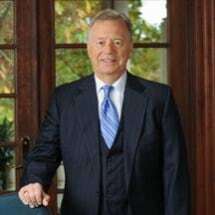 In terms of his legal practice, Mr. Carper does ninety-nine percent personal injury work, although he has occasionally participated in criminal defense, as he has a background in criminal justice. His cases range from small insurance pay-offs to larger ones, but he is a firm believer that every case, no matter what the monetary value, is significant. "Every case is the most important one to the client," Mr. Carper said, "and to me there is no insignificant case."